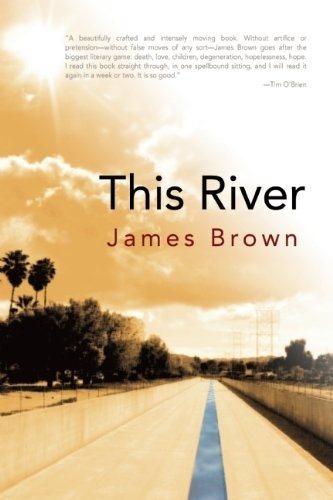 I landed an interview with James Brown, acclaimed author of The Los Angeles Diaries and his newest memoir This River. I was so pleased to get to talk with him. Jim struck me as a really great guy. He was open, articulate, and really frank about his writing life and his recovery. If you’re at all interested in recovery or memoir, you may want to check out the interview. Holly and I have found some real success with Junk, the literary magazine we launched last year (tomorrow @ noon PST look for a new issue featuring none other than Joe Bonomo!). Now we’re redoubling our efforts to continue to build community around Junk Talk. We have a few more interviews scheduled in the weeks ahead. And by all means, read This River. I reviewed it for Internet Review of Books and was really impressed.